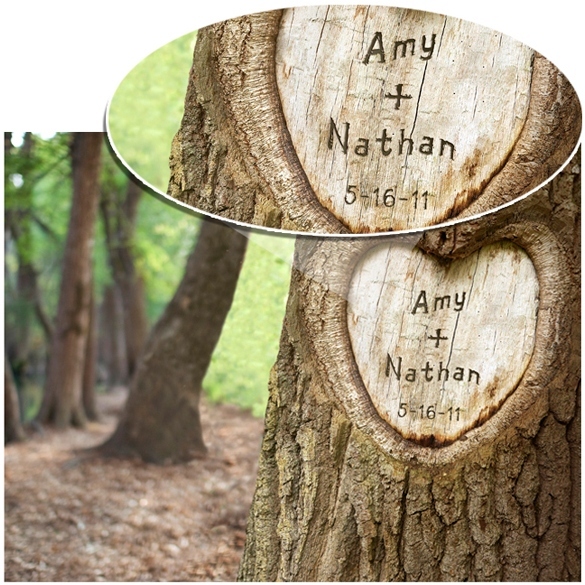 * Remember the old days when lovers would carve their names in a tree trunk? 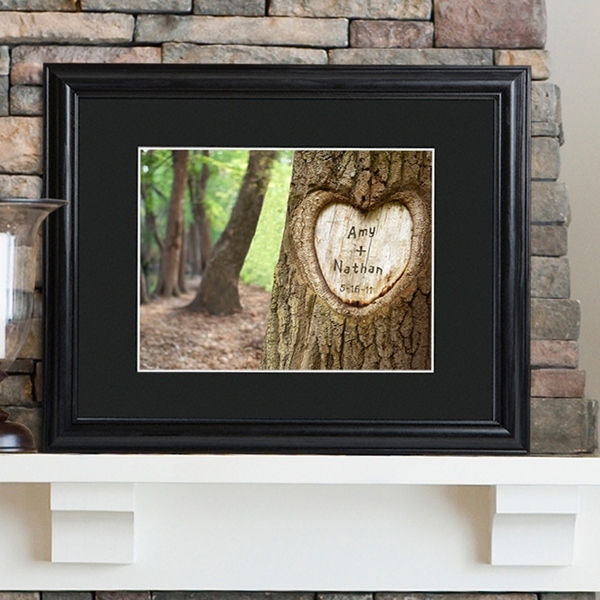 * With our Tree of Love image, you can enjoy that tender experience without the tree! * This whimsical framed and matted image is a great gift for the newly engaged, the wedding couple, or even for a landmark anniversary celebration. * No leaf raking necessary! * Personalization includes two names and the date of that special occasion.